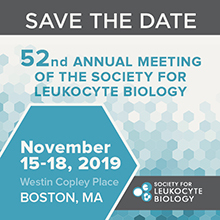 Please enjoy the latest issue of the Society for Leukocyte Biology’s Newsletter, iSLB. 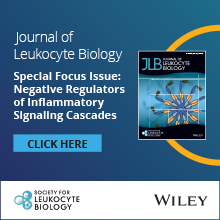 On behalf of the Senior and Junior iSLB Editors, please enjoy this issue which is available online directly here. This issue provides an excellent preview of the member led special interest group satellites that will be held at the annual meeting in November along with some of the professional development workshop offerings. Also enjoy an interview with Juhi Bagaitkar and learn about her career pathway and hear from Brittany Boribong and her perspective as a participant at an SLB hosted lunch n learn. The issue is a packed so enjoy this first issue of 2019 and feel free to share with a colleague.